The civilization of the Maya is one of the most fascinating of the many that flourished in ancient Mesoamerica and it has just been announced that a joint Polish and Guatemalan team have retrieved a stack of objects from this culture’s golden age from a lake. Their finds are offering new insights into the great Classical Maya era. The discoveries were made in the remote Petén Itzá lake, in north-central Guatemala, which surrounds an island called Flores that was once the site of the great Maya city of Nojpeten. The artifacts were recovered by a team of Polish divers from the Jagiellonian University in Kraków, who examined the bed of the body of water. The team made the finds some 480 feet (160 meters) beneath the surface. Their discoveries were made over the summer but they were not initially publicized so that looters would not be attracted to the lake. The leader of the archaeologist team, Magdalena Krzemień, told a news agency that “we have discovered more than half a thousand relics, including objects sunk during religious rituals,” reports the Science in Poland website. The divers had expected to find remains from a great battle that took place between the Spanish and the Maya. Instead they found items that date from an earlier historical period. Some of the ceremonial bowls were set on top of each other and there were fragments of obsidian and charcoal in them. It was in one of these stacks of bowls that the knife made from volcanic rock was found. It was deliberately left in the bowl and this indicates that it was used in some form of sacrifice, possibly even a human sacrifice. The Maya often used these knives to cut the heart out of living victims in a way very reminiscent of the Aztecs. Experts are not surprised at finding so many important relics discarded at the bottom of a lake. Bodies of water held a great religious significance for the Maya as they considered them gateways to the underworld. Moreover, water was also associated with the powerful God of Rain, Chaak , who was the deity of fertility. 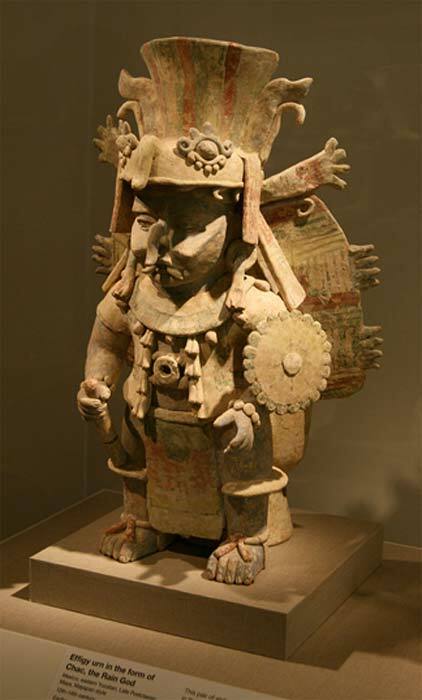 The artifacts could have been sacrificial gifts to this god who was very important in the Maya pantheon. All of the relics and sacrificial items were in good condition. This was initially a mystery to the team, and they were baffled as to how these fragile artifacts were not broken. It is believed that the items were deliberately placed on the bed of the lake in some way. They reasoned that it was unlikely that they were deposited there by divers and were probably lowered onto the bed by means of nets. According to the First News website the finds all date back to the Classical Maya period from “150 BC - 250 AD to 600 - 800 AD.” This era is often seen as the zenith of the Maya before their civilization collapsed in around 1000 AD. However, they did enjoy a renaissance before and even after the coming of the Spanish Conquistadors . The treasure trove was found near the island-city of Nojpeten, which for many centuries was very important in the region. It was the last bastion of the Maya with its inhabitants defying the Conquistadors for almost two-hundred years and it did not fall to the Spanish until the 1690s. It was only taken by the Europeans after a brutal battle on the lake. The Spanish used ships armed with cannons to destroy the city and this effectively ended the last independent Maya state. The recovered items offer new insights into the religious and cultural beliefs of the Maya during their heyday. 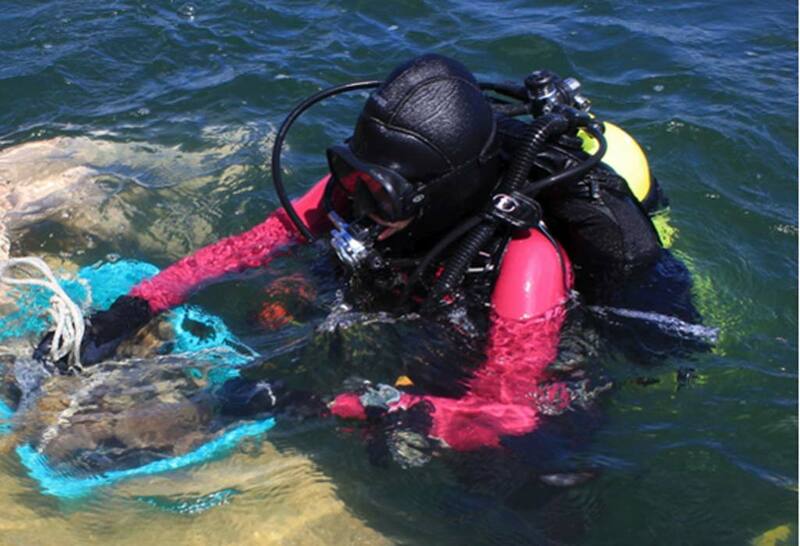 The divers are continuing their investigations and they hope to find more sacrificial items from other periods. In particular they hope to find more artifacts from the battle on the lake that resulted in the conquest of the last independent Maya in Central America. Top image: Drivers from the ‘Underwater Archaeological Expedition to Guatemala’ project. Source: Magdalena Krzemień & Mateusz Popek .